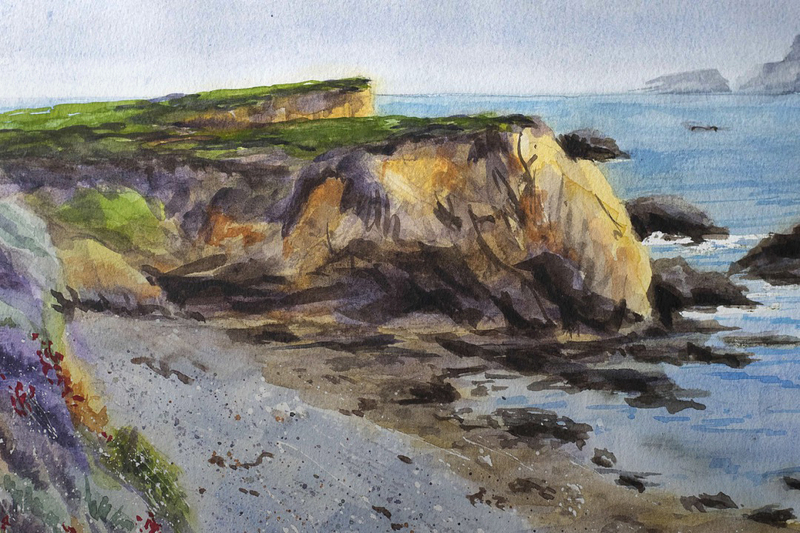 This six week class will teach you how to use the medium of watercolor to paint loose, impressionistic figure and portrait sketches and also more developed finished portraits of your favorite people. You will begin with how to draw the figure and face for painting, how to achieve a likeness and how much detail to include in the drawing. Skin tone colors and how to paint all the facial features will also be covered. Finally, to complete your paintings you will learn different ways to paint the clothing and backgrounds. You will also have the opportunity to paint directly from the clothed model in this class. Tricia Reichert obtained her formal teaching credentials from Battersea College, University of London. Although she had always been keenly interested in art, most of her artistic expressions were made through her chosen major of Home Economics and minor of Textile Art. When more time became available, Tricia developed her true passion for art and for the past twenty eight years has studied and practiced drawing and painting in a wide variety of media. She specializes in the art of portraiture in pastel and watercolor. Her other areas of expertise and interest include many forms of printmaking and figurative sculpture. Tricia also teaches a wide range of classes, workshops and individual students. In teaching, she uses her broad experience and highly developed, natural teaching ability to present all material and explanations in the most accessible way.